The 9 Best Pet Boutiques in Colorado! Colorado is full of pet owners who want nothing but the best for their pets. 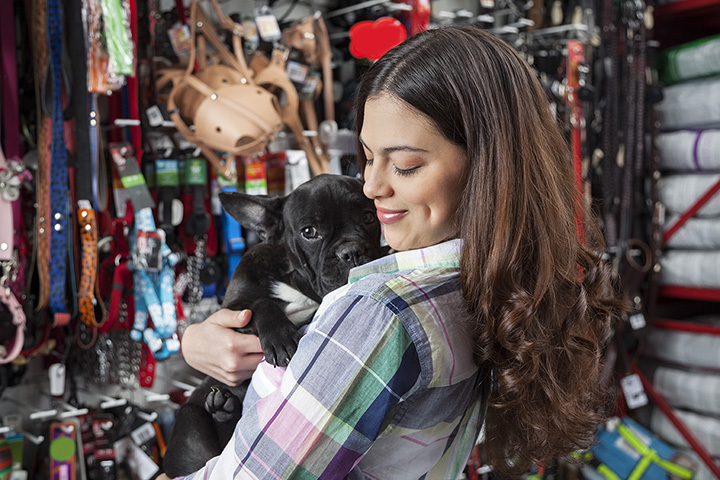 Therefore, you’ll find a variety of pet supply stores here, including topnotch boutiques made to groom, pamper and spoil your pet. These pet boutiques are all dog-friendly and strive for the perfect shopping experience with your pooch. No matter if you’re looking for a great groomer or a couture carrying bag, these nine best pet boutiques in Colorado will not disappoint. This upscale pet boutique provides self-service dog washes as well as sells food, toys and trendy collars and outfits. Local customers love this Colorado-owned pet supply shop because Chewy’s Bonetique has products from Colorado manufacturers. After your pet is cleaned with high-quality shampoo from the shop, treat your pooch with Chewy’s Bonetique’s personal line of dog cookies made with organic ingredients. For those in northern Colorado, Wagz Pet Market & Grooming is the pet boutique to visit for grooming services and a variety of food, toy and clothing options for Fido. Simply referred to as “Wagz,” this shop helps raise money for the Larimer Humane Society as well as sells products from local artists and suppliers. Furthermore, you will not find a more educated and loving staff in another northern Colorado pet shop than at Wagz. Dog lovers in Denver rave about Dog Savvy, a pet boutique that sells stylish dog products as well as offers grooming services in a cozy storefront. The staff here are true animal lovers. Founded in 2006, the owners of Dog Savvy owned a doggie daycare before venturing into a dog boutique. A safe and welcoming environment is what customers and pups will find at Dog Savvy. This successful Colorado-based pet boutique has two locations, one in Denver and one in Colorado Springs. Expect to find grooming services, all-natural pet food, toys, clothing and accessories for both cats and dogs. Even if you aren’t located near one of the shops, Republic of Paws also sells items online and ships worldwide. The Pet Boutique of Vail offers must-need items for active dogs along with sparkly, studded accessories for fabulous indoor pets. Owners will love the variety of items perfect for hiking or traveling with your furry friend. There is even a section devoted for cat owners, complete with brushes and toys. Located in Aspen, this boutique pet shop is truly an upscale shopping experience. Find dog-couture here, which includes high-end accessories and handmade items. Gourmet treats, luxury pet carriers and hundreds of stylish collars and leashes are what make C.B. Paws so fabulous. Treat your put to a salon experience at Pupperdups Pet Salon & Boutique. After getting groomed in a calm setting, your furry friend will love shopping through the boutique for Colorado-made treats and products. Owned by a pet owner and a certified vet technician, feel confident that your pet is being taken care of at Pupperdups Pet Salon & Boutique. There aren’t many pet boutiques like Lil’ Angel Pet Boutique and Gallery, which offers a painted pet portrait service along with training lessons, clothing, accessories and food. The owner of Lil’ Angel Pet Boutique & Gallery is a local artist. Remember your pet forever by purchasing a pet portrait painted by the owner herself. Or simply stop by this couture pet shop for your dog supply needs. Full service grooming and a stocked retail store is what you’ll find at Soggy Dog Grooming Boutique & Spaw. The groomers here at Soggy Dog offer affordable services, no matter if your pooch needs a nail trim or a head-to-toe wash. Dog owners can even find a self-service dog wash here too.